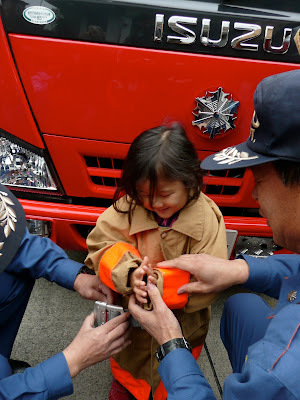 Last week we paid a visit to the local fire station. Some children were under the impression that we were going to a burning building and were relieved to find that that wasn't the case. The firefighters were very kind. They explained their equipment, showed us around their vehicles, and even let the children dress up as firefighters. Please review your family's emergency plan with your children this week. We rode the bus to the fire station (an adventure in itself). A saw for cutting into buildings. We got to walk through a brand new ambulance that hadn't been used yet. Gear lined up for quick access. Getting dressed up like a real firefighter. Group shot with some firefighters. Extended until December 18! Due to high demand and our inability to accommodate all of the sample lesson requests, we have extended the Autumn Campaign until December 18, the last day of school before winter vacation. Get more information here. 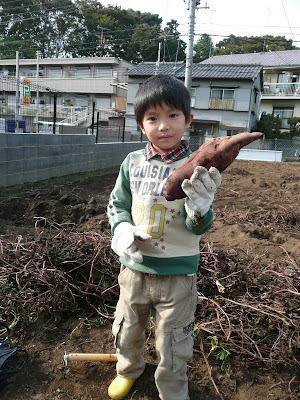 Last week we took our annual walk to a nearby vegetable field and dug up sweet potatoes. It's amazing that there are places like this right in Tokyo. We learned about David and Goliath recently. Our "My World" theme was rocks. Once again Yuki made a great bulletin board. We took advantage of the nice weather to go out to the park and paint rocks, which led of course to painting sticks, pine cones, and acorns too. 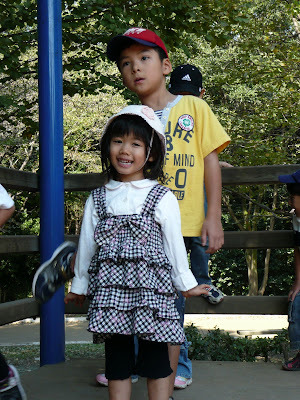 We want to spend lots of good time outdoors while the weather is still nice. We are extending our fall enrollment campaign for one week, until November 6, because of the two-day school closure earlier this week. Here is a link to more information. Some children have gotten over the suffering part of influenza and are into "feeling-fine-but-waiting-to-be-noncontagious" part. Looking for something to do with your child? 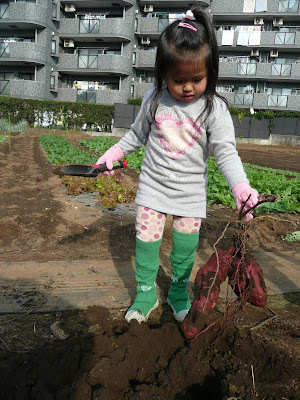 Playisessential.net is a blog with tons of great home-study ideas for toddlers and preschoolers. Here's an example that lines up nicely with our "rock" theme at the preschool this week. Today you can find Rocks. As you walk collect rocks. Discuss their size, shape, color, textures, and if they are pretty. Bring your rocks home and paint them to be pet rocks! You can give your rocks hair, googly eyes, nose, and mouth. You can let your toddler paint the rock and after it is dry, you can put the face on it for them. She made this card and sent it as a fax to us teachers. I love it! 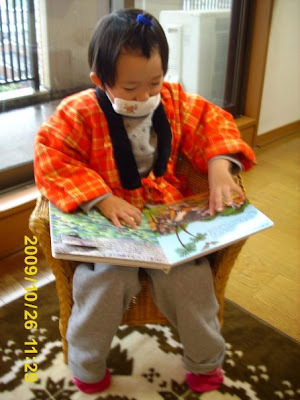 The preschool is closed temporarily because of an influenza outbreak. 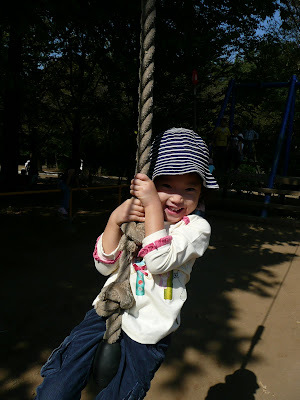 If your child has energy and wants to "do school" here are some ideas for things that will (sort of) simulate a preschool day. These are just ideas. You may adjust them to your situation or do something completely different. Talk about the weather. "How's the weather today?" It's (sunny, rainy, windy, cloudy, partly cloudy). It's (hot, cold). Look at a calendar and talk about it. "What day of the week is it today?" "Today is Monday." "What day of the week was it yesterday?" "Yesterday was Sunday." "What day of the week will it be tomorrow?" "Tomorrow will be Tuesday." "What month is it?" "It's October"
"What year is it?" "It's 2009." "Let's say today's day and date together." 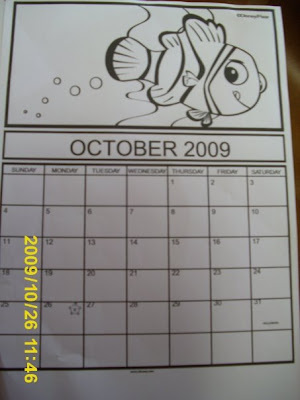 "(together) Today is Monday, October 26, 2009." Talk about the letter of the week, E.
Write a big "E" and a little "e." Ask your child to say the name of the letter. Help if needed. See if your child can tell you what sound the letter makes (the first sound in the word "egg"). 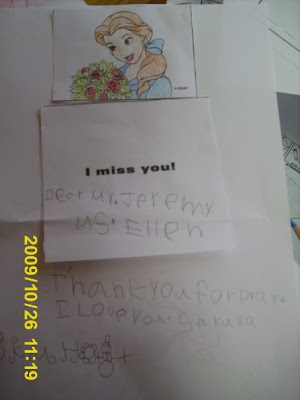 Practice writing the letter, especially the big "E" with your child. They can write it in the air, on a table, or in a little tray of salt with their fingers. 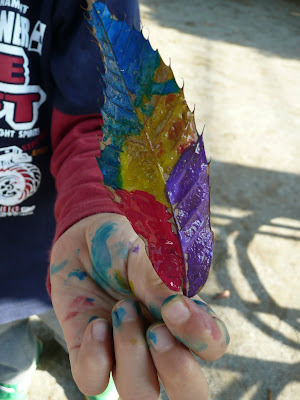 They can also try on paper with a pencil, crayon, or marker. Think of as many words as you can that start with "e." Examples are egg, elephant, engine, extra, envelope . . . 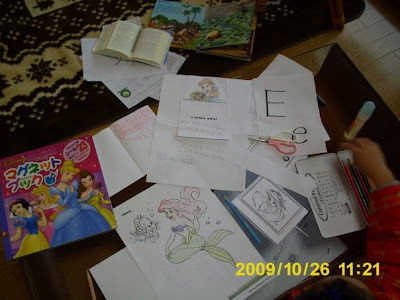 Try to find things in the house whose names begin with "e" or look for the printed letter "e." You might find it on clothes, packaged food in the kitchen, or in books. Set out some blocks or puzzles. Set out some art supplies like paper, paints, crayons, scissors, glue, tape, etc. 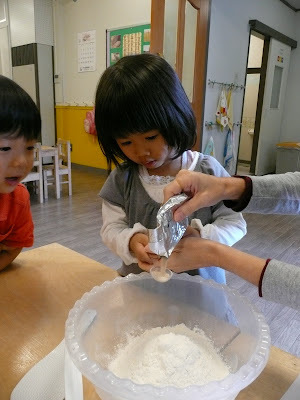 Make play dough together. Here's a simple recipe. 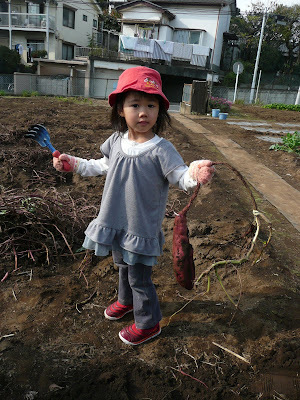 Prepare a snack or meal together. 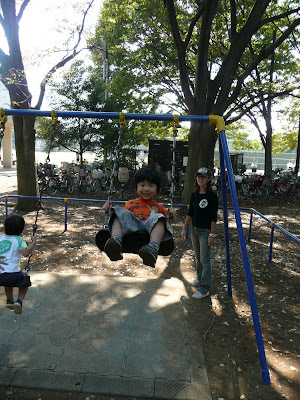 If your child is healthy and the weather is good, take a ball or jump rope and go to a nearby park. Look for leaves changing colors. How many different kinds of leaves can you find? Are there acorns or pine cones around? Collect some and arrange them by size for math practice. Tell or read the story of David and Goliath. The story is in I Samuel 17 in the Bible. You will want to simplify it for your child or read it from a children's Bible. If do not have a children's Bible, see the minibooks linked to below. The main point we want to get across in the lesson is that with God's help, little people can do big things. 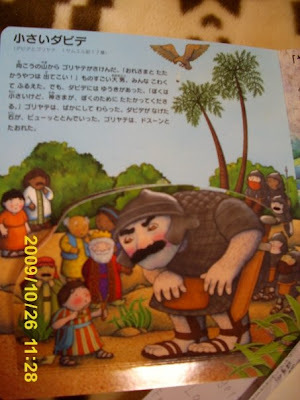 Print and fold a minibook of the story of David and Goliath. Here are links to pdf files of minibooks in color and black and white. (I recommend black and white if your child wants to color the book himself). 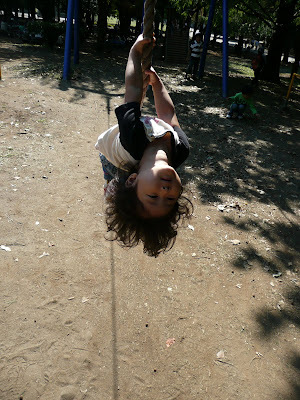 Talk about some things that are hard for your child to do but doable with God's help. Pray with your child for his friends from preschool who are sick. Read some story books with your child. Pause occasionally to discuss the pictures, what your child thinks will happen next and what your child would do if he were a character in the story. Above all, be safe and well! We hope to see everyone together again soon. If you have any questions or comments, please call or email me. If you have ideas to share with others, you can put them in the comments section at the bottom of this blog post. Our Bible story this week was from the book of Ruth. Ruth gleaned barley and wheat to get food for herself and her mother-in-law, Naomi. 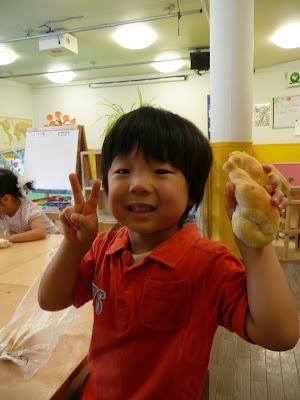 We learned about loyal friendship and how wheat becomes flour to bake bread. On Friday, we capped off the week by baking bread. 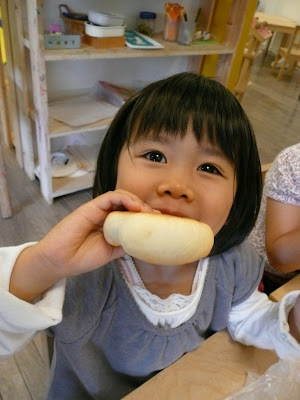 It was great fun and the fresh baked bread was delicious. 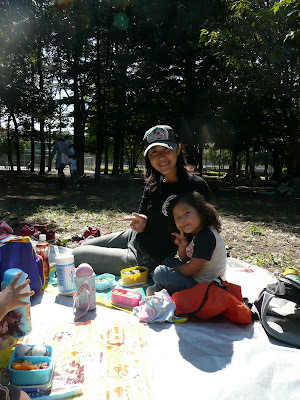 We spent a beautiful Tuesday at Hikarigaoka park. Here are several thousand words' worth of pictures.